(RxWiki News) Psoriasis is a skin disease that affects over 7.5 million Americans. Read on to learn everything you need to know about this disease for World Psoriasis Day. There are several types of psoriasis, including plaque, inverse, guttate, pustular and erythrodermic. Each type has unique characteristics. The typical form of psoriasis is marked by itchy, thick, red patches with silvery scales. Although these patches can appear on other parts of the body, they typically appear on the back, elbows, face, feet, knees and scalp. Psoriasis is a long-term condition that often develops between the ages of 15 and 35. However, psoriasis can occur at any age. How do you get psoriasis? It is triggered by an overactive immune system, which causes inflammation and a fast rate of skin cell turnover. Normal skin cells take about a month to grow deep in the skin and rise to the surface. But with psoriasis, the cells rise in a matter of days and even before they fully develop. The new and old cells then pile on top of the skin and result in redness and discomfort. Genetics may also play a role in psoriasis. About one-third of people with psoriasis have a family member with the condition. Psoriasis is not contagious. You cannot "catch" psoriasis from someone who has the condition. Psoriasis is diagnosed by a dermatologist or other health care provider who examines your skin. Sometimes, a health care provider may even take a piece of the affected skin and look at it under a microscope. Treatment for psoriasis depends on how widespread and severe it is. 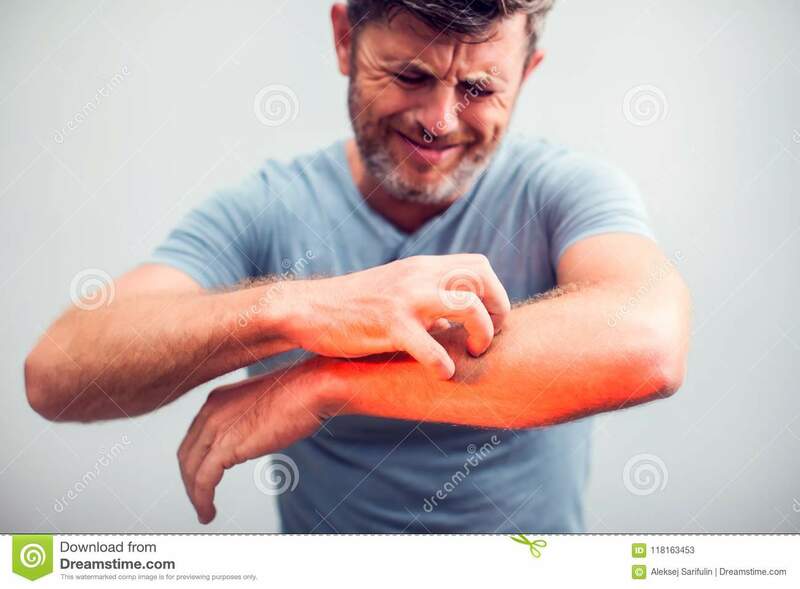 Treatment options for psoriasis include light therapy, topical medications, and oral or injectable medications. 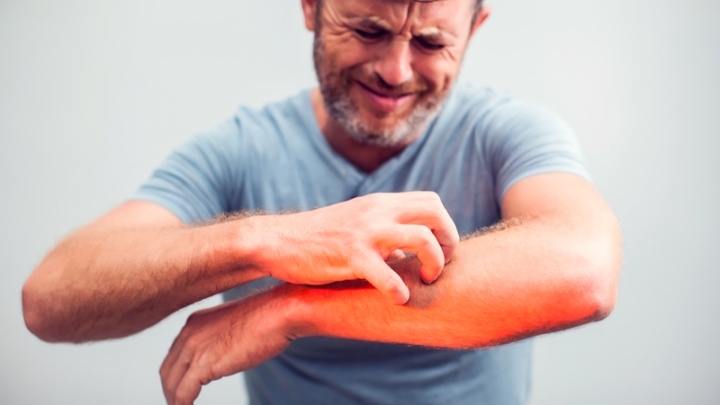 Up to 30 percent of people with psoriasis will develop psoriatic arthritis. This most commonly occurs between the ages of 30 and 50. This condition can cause pain, stiffness and swelling around the joints. Your health care provider will determine the best course of therapy for you. Speak with your health care provider if you have any questions about psoriasis.